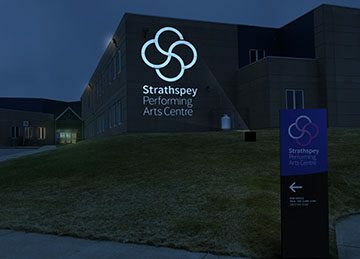 Welcome to Strathspey Performing Arts Centre! Home to live music, arts & culture, and tradition. Nestled in the rolling hills of Inverness County, this world class, professional theatre has played host to international and local performers alike. As an integral piece of the community for locals and a “must-see” for visitors, this venue has a passion for performance! From live theatre to international singer-song writers, Strathspey Performing Arts Centre has shows for visitors of all ages. Please contact our box office for further details on upcoming performances.